The mother of two men who were gunned down almost a year ago is pleading for answers in their unsolved murders. 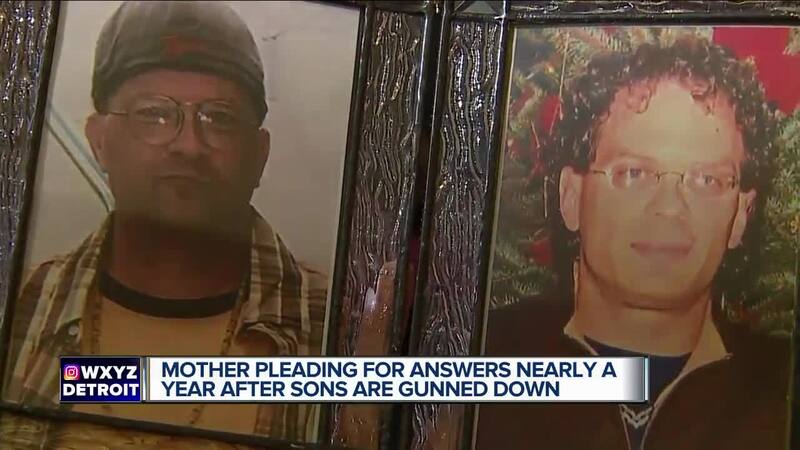 DETROIT (WXYZ) — A heartbroken mother is speaking out almost one year since two of her sons were gunned down at the family home in Detroit's Rosedale Park neighborhood. Bonnie Jo Gotshall's sons, Teague & Troy Orblych, were killed during an attempted robbery and home invasion on February 15, 2018. Teague, whose full name is Michael Teague Orblych, worked at U of M Dearborn's library. His brother Troy, whose full name is William Troy Orblych, worked at War-Mart. Police don't believe the men were targeted. They think it was a crime of opportunity. Since that murders, Gotshall says she hasn't been able to stay at that house. The pain of losing her sons is just too much. "The pain is never going to go away," she says. Detroit Police Detective Lisa Johnson has been actively working this case, but needs the public to step up with leads. "Put yourself in this person's shoes. This could be your family member," says Detective Johnson. There is a $2,500 reward for information leading to arrests in this case. Please call Detroit Police if you have any information. You can also call Crime Stoppers at 1-800-SPEAK-UP and remain anonymous.